We still don't know much about Microsoft's plans for the next big update to Windows Phone, but it looks like one major change could be the branding used to sell its new smartphones. Last week we learned the company might ditch the Nokia and Windows Phone names. Now we're getting a first look at what Microsoft may use instead. Today's leak comes from British company My Go thanks to an internal webpage spotted first spotted by the folks over at Neowin. 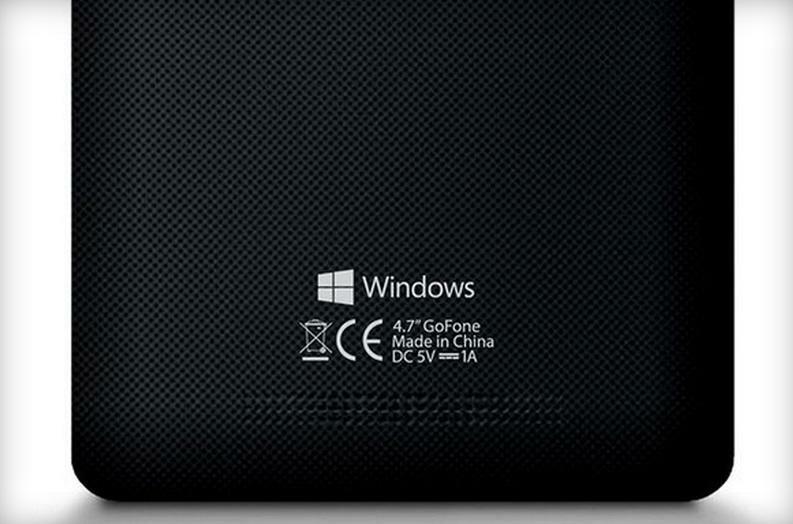 My Go's upcoming GoFone appears to run Windows Phone 8.1, but one image of the device's back panel simply shows the single word "Windows." The webpage goes on to promote Microsoft's mobile operating system as "Windows" while highlight all that the software has to offer. Microsoft appears to be paving the way for a Windows Phone makeover. We saw something similar when HTC announced the One (M8) for Windows last month, though HTC's handset still reads "Windows Phone" on the back. The GoFone's new Windows branding looks pretty good, and hopefully we'll see something similar appear soon on an official Microsoft smartphone. It's unclear exactly what the company has planned for its Lumia lineup, but we're expecting at least one flagship phone to hit the market later this year.